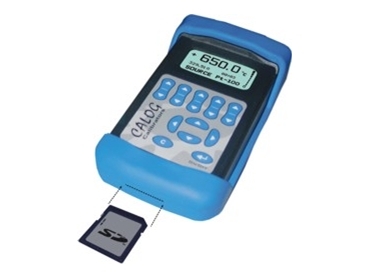 Instrotech Australia offers the Calog-TEMP portable temperature meter calibration tool designed for testing, measuring and calibrating all thermocouple and RTD-based systems. The small size, rugged design, rubber protective boot, high precision and long-lasting re-chargeable lithium ion battery pack makes the temperature calibrators well suited for industrial field calibration applications. Using the simultaneous isolated combination of thermocouple or RTD sourcing and mA measuring, it is possible to calibrate any Tc/mA or RTD/mA temperature transmitter. The mA measurement can be passive with a remote supply or active 4-20mA 2-wire with the Calog-TEMP generating the 24VDC loop supply. The accurate mA measure and source on the temperature calibration tool allows it to be used for all mA loop testing and instrument calibration requirements. For temperature monitoring over time Calog calibrators may be set in trend mode with a selectable timebase to graph a temperature profile. This is ideal for testing ovens or for optimising PID temperature controllers. Data may be logged to the removable SD card in CSV format with user-selectable data fields and timebase. Logged data may also be retrieved via the USB port.